We ran a Professional Development in The LOFT back in April. The session, we discovered, was a little overcooked. Many teachers had difficulty using the resources we had spent many hours preparing...however, we've used this feedback to come back with something simpler and better! The idea of this session is to assist teachers to publish photos as easily as possible. So we offer 3 ways to do it. 1. Create 1 big album in Google Photos and store all photos there. A link gets added to the blog that takes readers to Google Photos. 2. 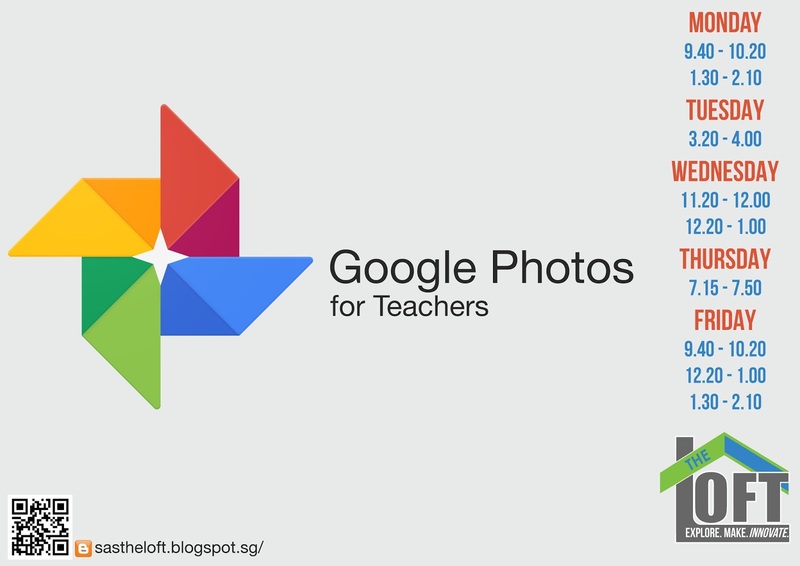 Create individual albums and either create a text or thumbnail that links to Google Photos. 3. Embed albums (use embed.ly if doing this on a blog, or Insert Album if using Google Sites). Well, if a user has opened Google Photos App (can be downloaded here: Download Photos APK ) on their smartphones then Google Photos is running in the background. And another useful tip for deleting pictures is to do so in the Google Photos app and not from your default Gallery application. Because if you go through Google's Photos app, there's an option in assistant screen that lets you delete the pictures that you have backed up on to the cloud. Thanks Google once again for providing this amazing service.